What does the higher voter turnout in the Lok Sabha elections in Khamman portend for Congress which won most of the seats in the Assembly elections just four months ago? 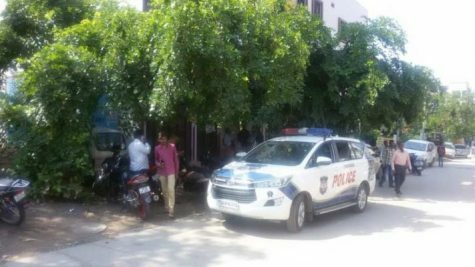 Hyderabad: What does the higher voter turnout in the Lok Sabha elections in Khamman portend for Congress which won most of the seats in the Assembly elections just four months ago? Much water has flowed under the bridge since the Assembly polls leading to the first phase of Parliamentary elections. Khammam Lok Sabha constituency registered Telangana’s highest voter turnout of 75.61 per cent. This outcome is considered to be the joint effort of the TRS leadership and the MLAs who won as Congress nominees, but shifted loyalties to the ruling party. Renuka Chowdhary, Congress candidate from the Khammam Lok Sabha Seat, had none of the Congress MLAs, barring CLP leader Bhatti Vikramarka, with her during the campaign. 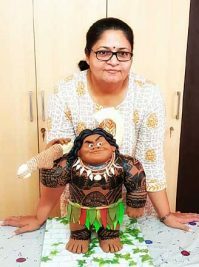 While the Congress MLA from Palair and Kothagudem joined TRS, she found the Maha Kutami-supported TDP candidate, Nama Nageswar Rao, in the fray as her TRS rival. Considered an outsider, she found herself at the receiving end with the desertion of key leaders from her party ahead of the general elections. In the Palair Assembly segment of the Khammam Lok Sabha constituency, the overall voter turnout was as high as 82.87 per cent in the Lok Sabha polls. But, it is still far less than 90.99 per cent registered in the Assembly elections held on December 7, 2018. Kandala Upender Reddy, the Congress candidate, polled 46.53 per cent of the votes as against 42.54 per cent by Thummala Nageswar Rao, former Minister and TRS nominee in the Assembly polls. Thanks to new political equations that emerged with the Congress MLA joining TRS, there was a unification of forces that worked together for Nama Nageswar Rao, TRS candidate for the Khammam Lok sabha seat. Thummala led the TRS campaign, while the new MLA extended unconditional support in the constituency. Nama is expected to do well in the constituency. Lal Singh, a Congress leader admits that Nama Nageshwar Rao enjoyed clear advantage in the Palair segment with Thummla Nageswar Rao leading the party campaign involving his rival Kandala Upender Reddy after he deserted Congress to join TRS. So is the case with the Kothagudem Assembly segment where the newly elected MLA, Vanama Venkateswar Rao, joined TRS from Congress. The voter turnout in Kothagudem, an urban constituency with predominant presence of the salaried employees of the Singareni Collieries, is 66.77 per cent this time as against 81.19 per cent in December 2018. TRS polled 44.39 per cent of votes in the Assembly elections as against 46.78 by Congress. With both the winner and the runner-up in the Assembly polls working together for the TRS candidate in the Lok Sabha elections, it is going to make a considerable difference. Wyra Assembly segment of the Khammam Parliamentary constituency registered 79.15 per cent in the Lok Sabha elections as against 88.83 per cent in the last Assembly elections. The independent candidate, Lavudya Ramulu, who won the Assembly seat defeating former MLA and TRS nominee Madan Lal also joined TRS — further strengthening the support base of the ruling party. With both the sitting MLA and the former MLA working together, the TRS nominee for the Lok Sabha seat is considered to be major gainer. 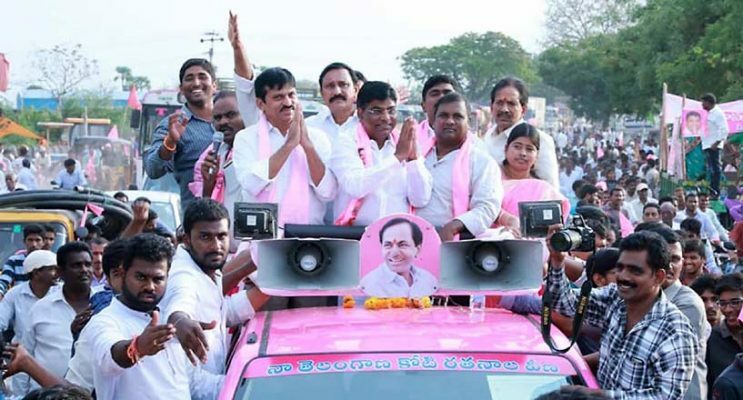 In the Yellandu Assembly constituency, which is part of the Mahabubabad Lok Sabha seat, the impact of Congress MLA Haripriya Banoth switching over to TRS was quite evident. The TRS nominee for the Lok Sabha seat, Kavitha Maloth, had the support of the followers of both the sitting MLA as well as the former MLA, Koram Kanakaiah, of TRS. She is expected to fare well in the Mahabubabad ST constituency. The vote share of Congress and TRS in the Assembly elections was 42.98 per cent and 41.20 per cent respectively. The voter turnout registered in the Lok Sabha polls in the segment was 64.05 per cent as against 82.09 on December 7, 2018. In constituencies such as Madhira (Khammam Lok Sabha seat) and Huzurnagar (Nalgonda Lok Sabha seat) that are held by Congress MLAs, TRS went all out to blunt the edge enjoyed by the main opposition. Madhira segment witnessed 81.40 per cent turnout in the Parliamentary polls as against 91.65 per cent in the Assembly poll. Sathupalli Assembly constituency, which falls under the Khammam Lok Sabha seat, had a turnout of 77.84 per cent in the just-concluded polls as against 88.65 per cent in the December Assembly election. Sathupalli MLA Sandra Venkata Veeraiah also quit TDP and joined TRS two months ago. He campaigned along with the TRS leadership for the victory of the party’s nominee. With all roads leading to TRS camps, the fight is considered to be one-sided, says Satyanarayana Singh, TRS leader.